You use binder clips at the office all the time to hold papers together. But to really understand the value of these little clips, you have to see just how handy they can be around the home. 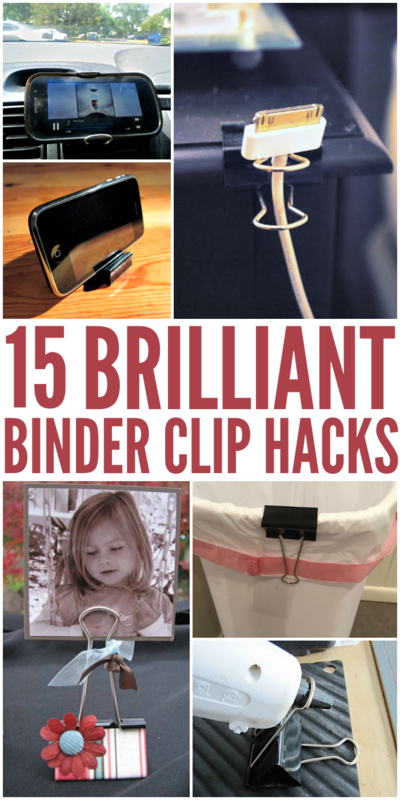 Try these binder clip tricks, and you’ll never look at boring old office supplies the same way again. Dry your sponges faster by standing them up on a binder clip. 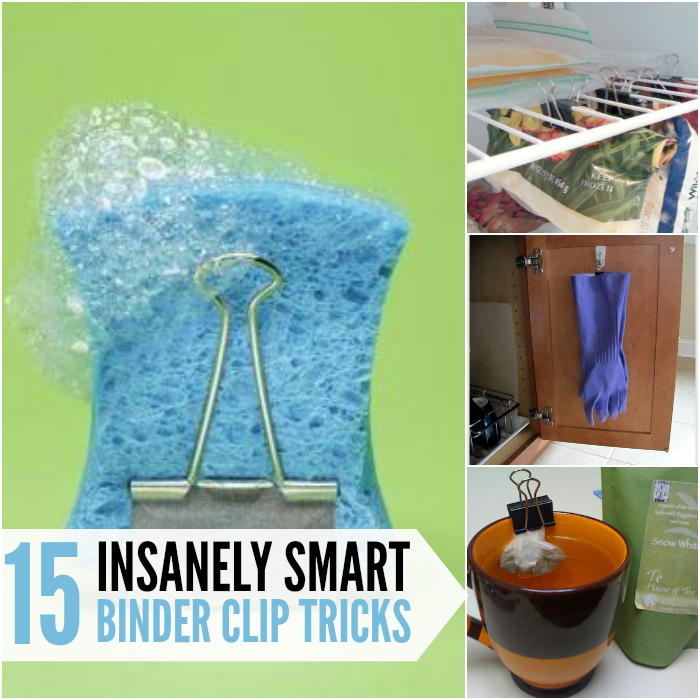 Hold trash bags in place with a binder clip or two on each side. Make a cheap car mount for your smartphone with binder clips and rubber bands. Speaking of your smartphone, you can also make a handy desktop phone stand using two binder clips. Works great for traveling or at the office! Keep your phone charger or any cord within easy reach by running it through a binder clip clipped to the desk or nightstand. Embellish large binder clips and use them to display your photos. Cover your binder clips with wahi or duct tape for a fun look. We used our binder clips to keep track of our earbuds when exercising! 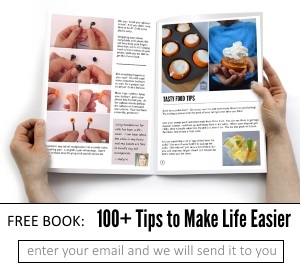 Crafters, here’s a tip for you. Use binder clips to help your hot glue guns stand up while you’re working on your projects. Use binder clips in the freezer to hang your bags of frozen veggies and fruits that haven’t been completely used up. Hang your cleaning gloves inside your cabinet between uses. Let your sheets do double duty by hanging them as curtains. Pair some cheap metal rings and binder clips, and you have a set of cheap curtain rings to hang them from. 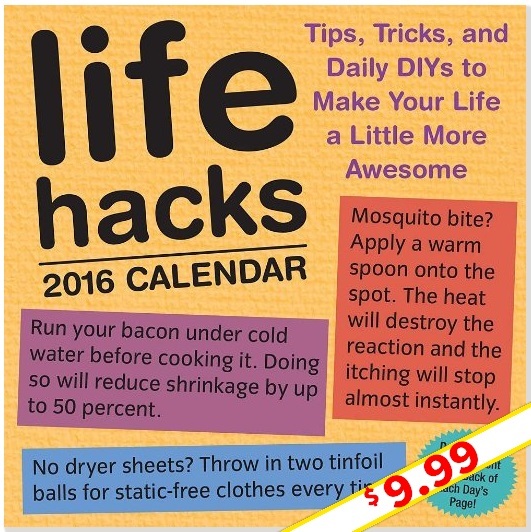 Clever idea, especially if you like to change out your curtains frequently. If you’re a stickler for squeezing toothpaste from the bottom of the tube, ensure things are done your way by rolling it up and using a binder clip at the end of the toothpaste tube. Keyboard legs are so flimsy! Make your own if yours are broken by putting binder clips on the bottom of your keyboard. It’s all about ergonomics, people… Flat keyboards are killer on your wrists! Travel-proof your razor by placing a binder clip over the blade. 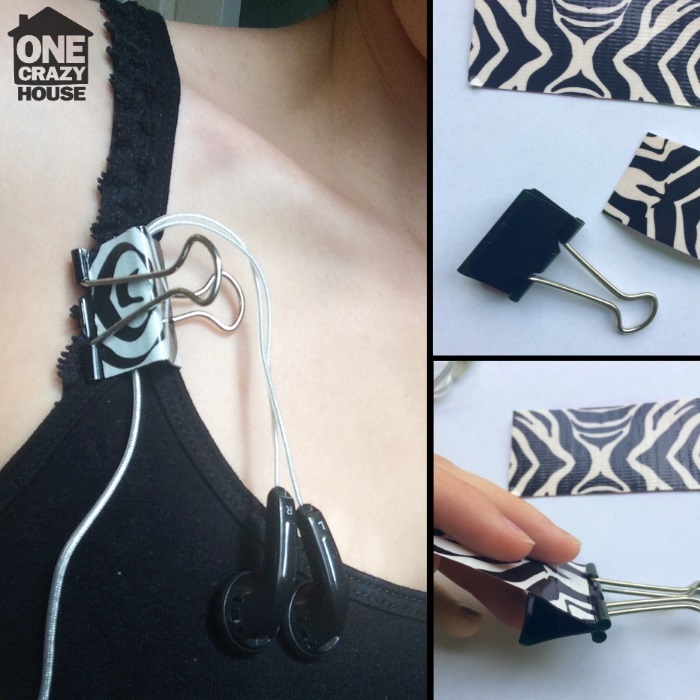 Use binder clips to keep your hair accessories and jewelry organized when traveling. Use them on bobby pins, hair bands, rings, bracelets, etc. Keep tea bags in your tea while you drink it with a binder clip on the side of your cup.